Bridget Martin (EUROCLIO) walks participants through the Historiana eLearning Environment. EUROCLIO and Europeana continuously work to improve its innovative educational platform Historiana. At the moment we have several projects contributing to these improvements, including the Opening Up Historiana project. This project aims to include a wider range of developers and partners in the web development of the platform, in addition to EUROCLIO and Webtic. At the same time we are opening up to our community of educators to involve practitioners in the decisions we make for changes and additions to the site. In that framework, we organised a feedback session on new ideas for the Historiana eActivity Builder. 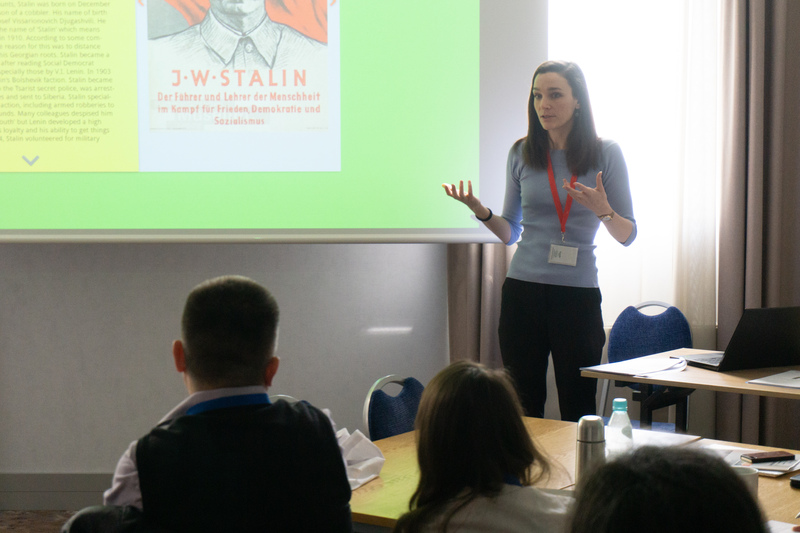 The session took place on Sunday 7th of April, 2019 as part of the EUROCLIO Annual Conference in Gdansk, Poland with 38 participants. The Annotating Tool which would enable the annotation of visual sources. This would enable students to add an annotation in the shape and colour of their choice in which they could type text according to teacher instructions. The tool would allow for the analysis of a single source or the comparison of multiple sources. 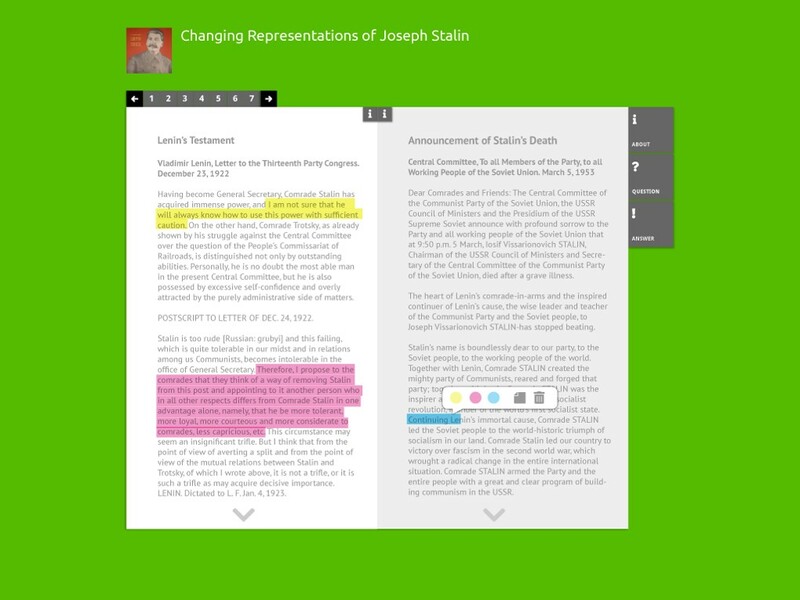 The Highlighting Tool which would enable the annotation of textual sources. This tool would allow teachers to add textual sources of their choosing with which students could interact. 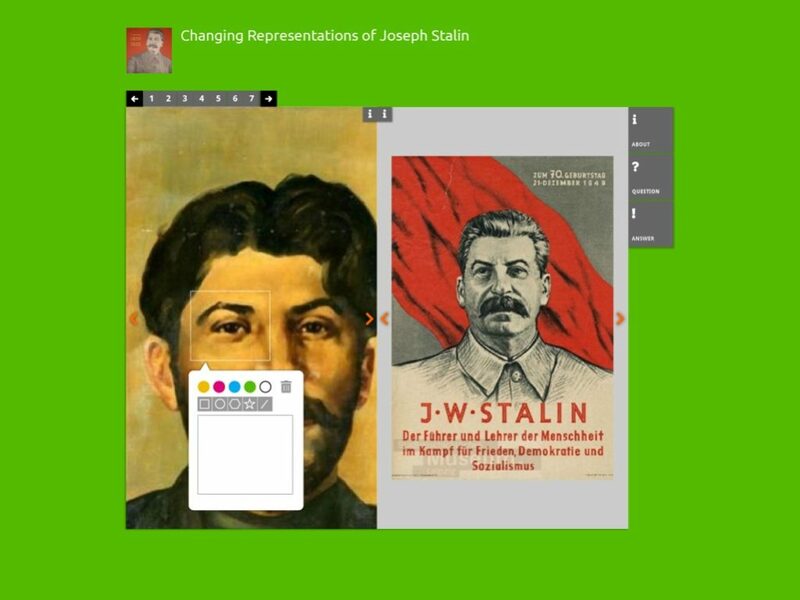 Students would be able to highlight sections of the text in different colours and add written annotations which would appear like ‘post-it’ notes beside the text. Support Buttons which would appear within each activity block (such as Annotating, Highlighting, Sorting, Prioritising) and allow teachers to provide instructions which students can access without losing sight of their workspace. These three buttons would allow teachers to add contextual information, instructions and questions for students to respond to. The majority the participants to this session were not very familiar with the eActivity Builder, most indicating they had ‘never seen’ or only ‘generally seen’ the tool with just a few having gone into the builder in the past. Respondents were very positive about the usefulness of the proposed tools, particularly the Annotating Tool which the majority indicated they would use in their teaching. Teachers expressed a further desire to have the possibility of comparing and annotating visual and textual sources within one activity. Teachers also suggested the creation of a function which would allow students to collaboratively annotate and respond in activities. The project partners met in the margins of the annual conference to first prepare, and later discuss the feedback collected. They agreed the collected inputs will be taken on board in the next steps of the project. The proposed new tools will be sketched in more detail, and will be part of an open call for web developers that will be send out in April to find external web developers to create these tools. At the same time, we plan to have regular (online) feedback sessions to gather further inputs on the desirability and usefulness of the proposed developments. If you are interested to join us, please send an email to the project manager Judith Geerling (judith@euroclio.eu) and we will make sure you receive updates and invitations for feedback sessions.